Wohoo… Weekend is over! Now it’s time to say I love Monday, and write a new post in english. So, I want to continue my adventure stories in South Sulawesi. After the Takabonerate Island Expedition VI (Takabonerate Festival), I decided to stay a few more days in Kota Benteng, the capital city of Selayar Islands. Selayar Island is the most unique regency in South Sulawesi because it’s an archipelago. Selayar islands has the potential of marine tourism which is so beautiful. One of it is Takabonerate National Park that become a favorite destination for diving in Indonesia. But, there are also historical and cultural attractions are fascinating to be enjoyed, such as The Old Village of Bitombang. So before going back to Jakarta, explore the village is suchba good idea, right? When entered the village, I was welcomed by a sign on the rock cliff. 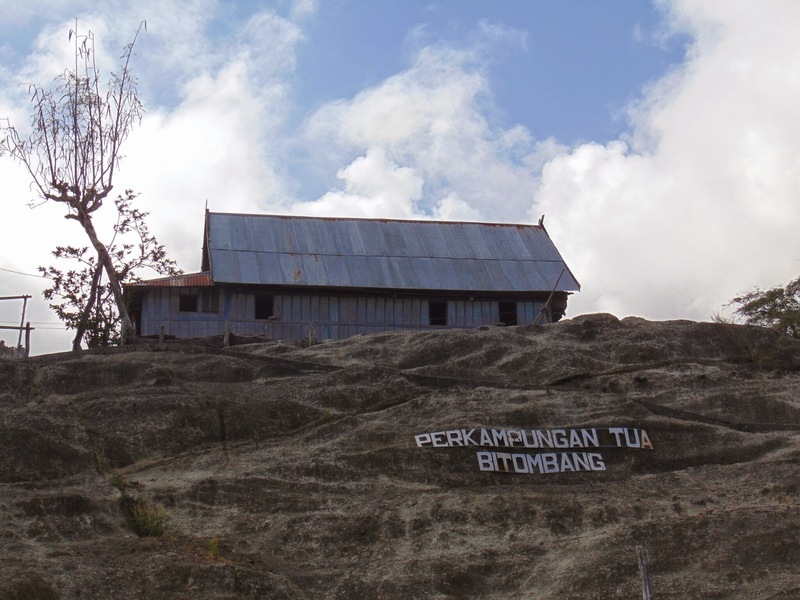 “Perkampungan Tua Bitombang” which is mean The Old Village of Bitombang. The street of the village was winding. This village was located in the highlands and uneven topography. I walked along this street and found many wonderful thing. Sapo was the main attraction of this village. It’s the old house that very unique because it’s built on the rock cliff, and supported by pillars which the height reaches 10-15 meters on the backside, while in front side was lower, about 2-3 meters. The wood that used for poles was the trunk of bitti tree which it’s proven as a strong and durable wood. Supposedly, the age of the old houses has reached hundreds of years old, and has been inhabited hereditary for 3 generations. The average age of the villagers was 90 years. And more unique is that most of them still strongly works even their age are above 90 years old. 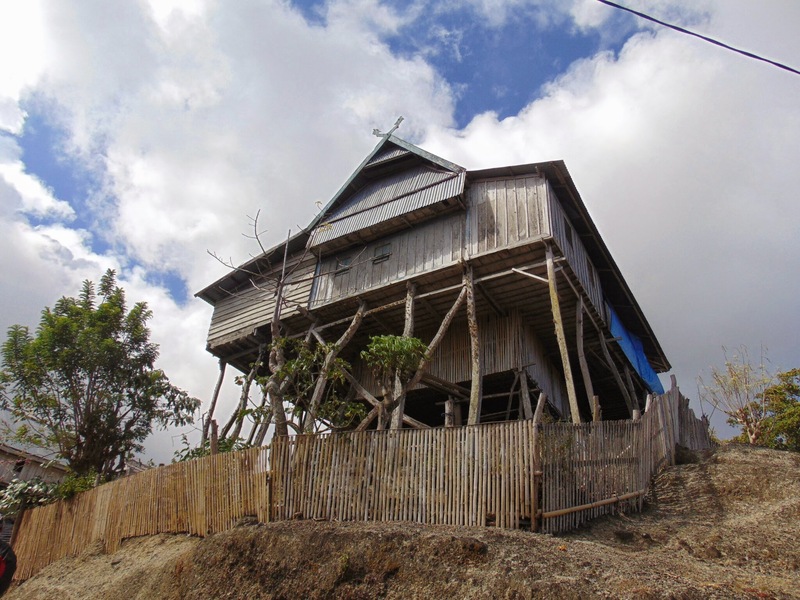 Now there are only 6 old houses in the old village of Bitombang. They are still strongly standing and should be kept from extinction. In the village there are one surau (prayer room). It’s explain that the residents religion is islam. 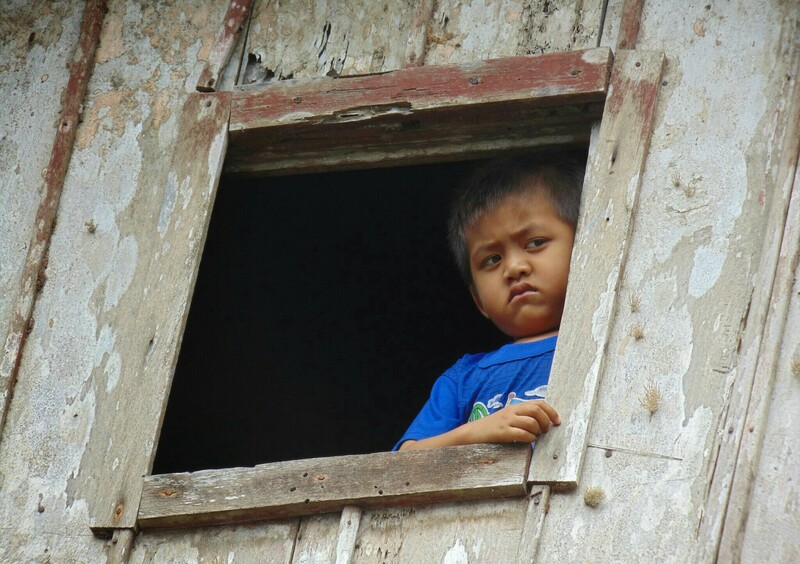 In one of the houses behind the very high window, I saw a boy with a sad facial expression. I can’t imagine how if the boy jump out the window. I visited the village in the morning, and I had the opportunity to see the morning activity of a busy mothers who washing clothes, or taking a bath. When they went home, they brought the washed clothes on over their heads. Some of them brought their children and directly used school uniforms after bathing in public wellspring in the center of the village. After seeing the six old houses along the main road, I climbed the ladder to climb to the top of the cliff. On the top of the cliff there are also a lot of houses, and still there a lot of unique thing to be captured. In a house I saw a bunch of corn is hung on the corner of the roof. I suspected this is an offering to the ancestors to protect themselves from disasters. On one side of the cliff between the houses, there was a hole that is used for cooking. At the end of the road before reaching the top of the hill, I met this old man. He was sitting and greeting me from the patio when I crossed his house. He is one of the oldest man who live in the village. He is now more than 90 years old. He gave me a permission when I asked him to be potographed. What a friendly old man! The scenery was beautiful from the top of the hill. The roof of houses, and green of the trees that covered the hills was stunning. Around the place where I stood and anjoyed the scenery, many cactus plants between bush. At the other side on the top of the hill, there were deciduous trees because of the dry season. With bright blue sky as the background, makes it as a wonderful one to be shot. After feeling quite enjoy the beautiful scenery, I was down the hill and back to the homestay in Kota Benteng. 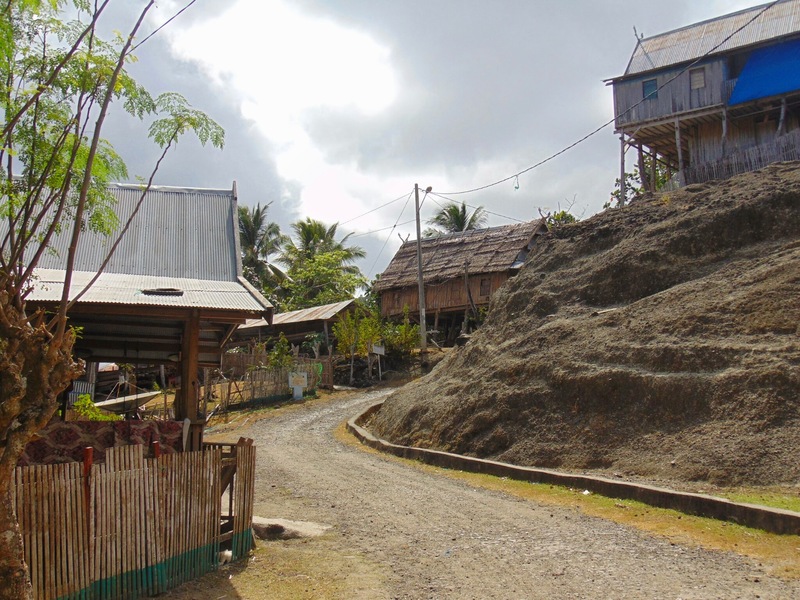 This village is located about 7 km from Benteng, Selayar Island, South Sulawesi, Indonesia. There are no public transportation to reach the village. We need to rent a car or motorcycle and would be better if we’re guided by a locals. More stories about the village and other torist attraction around the village can be read here on bahasa Indonesia. I’m pleased to link up this post to Jo’s Moday walk. Please check out her blog for more walker of this week. Thank you so much for sharing this lovely walk. These are beautiful pictures. Here I am at last, Noe! 🙂 Posting a Monday walk while I’m away might not have been such a good idea, but I wanted to keep continuity. Thank you so much for another lovely insight into this community. Those old houses look precarious to me, but they’ve stood the test of time. i LOVED this walk Noe – and the old houses and village is amazing. And that man – you grabbed a great shot of him with his cigarette – I also love the host of the boy – I like how you gave us the window and building he was in – cropped like that – it is such a fascinating show – the feel of the wood and the structure – and his expression! you grabbed a great affect there – and I still wonder what he is thinking. What a fascinating place and thanks for the great tour. It seems to exist in another place and time.